I do not have an LK but i recently aquired a SS MK and it seems to be a really good shooter. Like someone else suggested, until a different 209 system is available I am pretty sure that i am going to stay with the #11 ignition system. Because of the length of the barrel I have chosen to shoot T7-3f. It is a faster burning powder 2f and using the #11 cap it really burns cleaner. This target is one of the first targets shot from the gun. 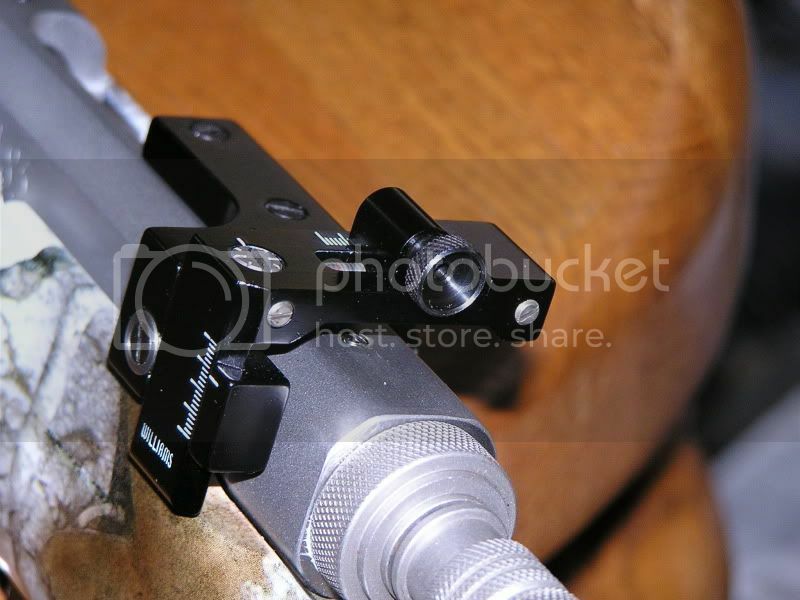 I have changed the factory sights on the gun and installed a William's FPS peep sight. This is the target that ishot one of those first days. 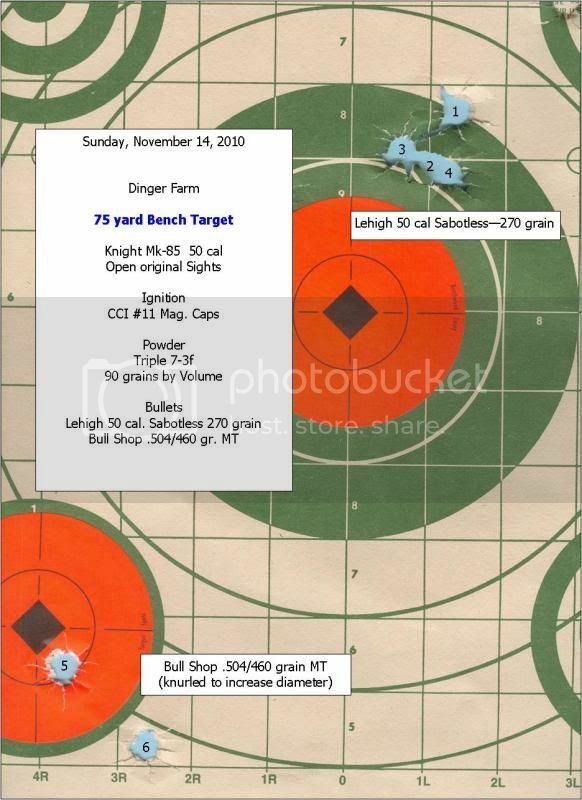 You can see that I was shooting 90 grains of T7-37 and a 50 cal Lehigh sabotless bullet. 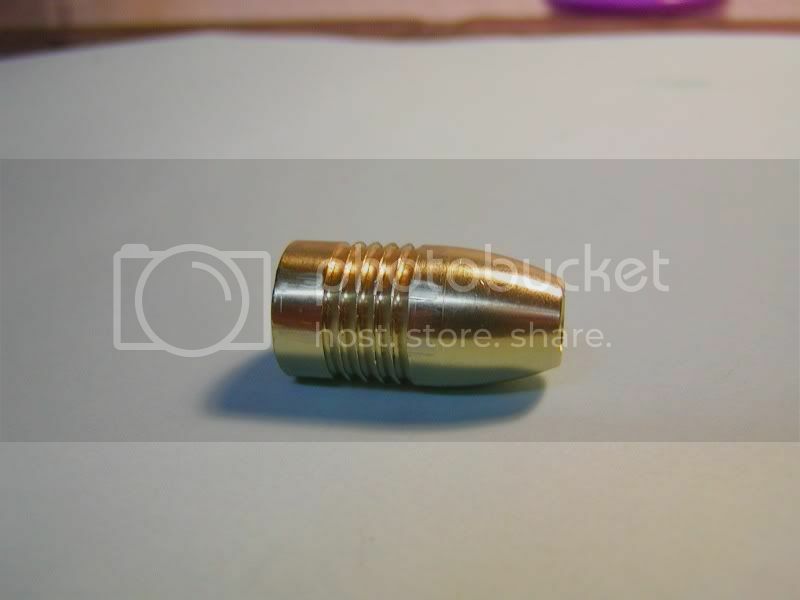 This bullet is not available yet you can see that it really shows promise from the MK. Since this initial test - i have been back to the farm a couple of times with it. I have increased the powder from 90 grains to 110 grains and have shot a few different sabotted bullets from the gun also. Shooting clay pigeons out to 125 yards with either the sabotless or the saboted .458/275 Lehigh DOA is not much of a problem. Now addressing your problem(s), sugestions on switching to loose powder has already been suggested and moving back to the percussion cap has also been suggested. Cleaning the bore of plastic residue has also been suggested. The only thing i would add to that discussion is rinse the bore as the final step with clean boiling water. I think that you might be looking at three possible problems... One is the sabots that you might be using. It sounds like to might be using a HPH-12 or equivelent sabot, I would suggest you try some HPH-24 or regualr sabots and see if that does not help your loading efforts. How reliable do you believe the scope and the mounts might be? 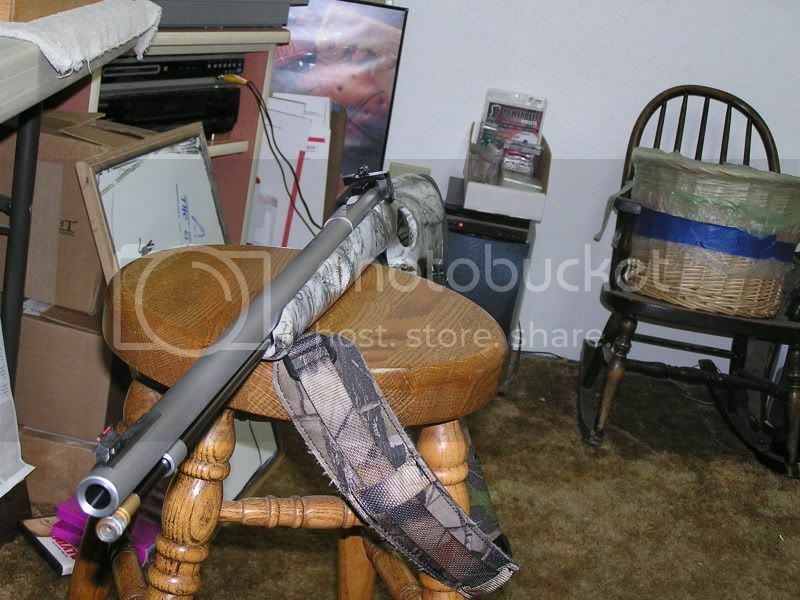 I think a possible problem with your accuracy issues might have been the fit of the barreled action to the stock specifically the way the barrel laid in the forearm. When you get your new stock those problems might disappear or they may need to be corrected with the new stock also. Knight does offer a replacement stock for the MK-LK-Wolverine-Big Horn series. it is expensive, but remember to ask for for your 10% discount. Last edited by sabotloader; 01-17-2011 at 11:24 AM. The pellets are about 3 years old. I have a box i just bought last summer that i am going to break into real soon. I will give the barrel a good scrubbing for plastic. But right now, it looks like the cleanest barrel on earth. If the pellets are old... that could well be your problem. Knights are normally very good shooters. Its kind of hard to find one that does shoot bad. A little JB weld and perhaps some duct tape should have you all fixed up and back in the woods. LMAO- Please tell me you are kidding. It broke where the material is the thinnest. Even if i tried to fix it somehow, i'm not sure that the shock from the gun going off wouldn't break it again. If you like a black thumbhole this is still going on. 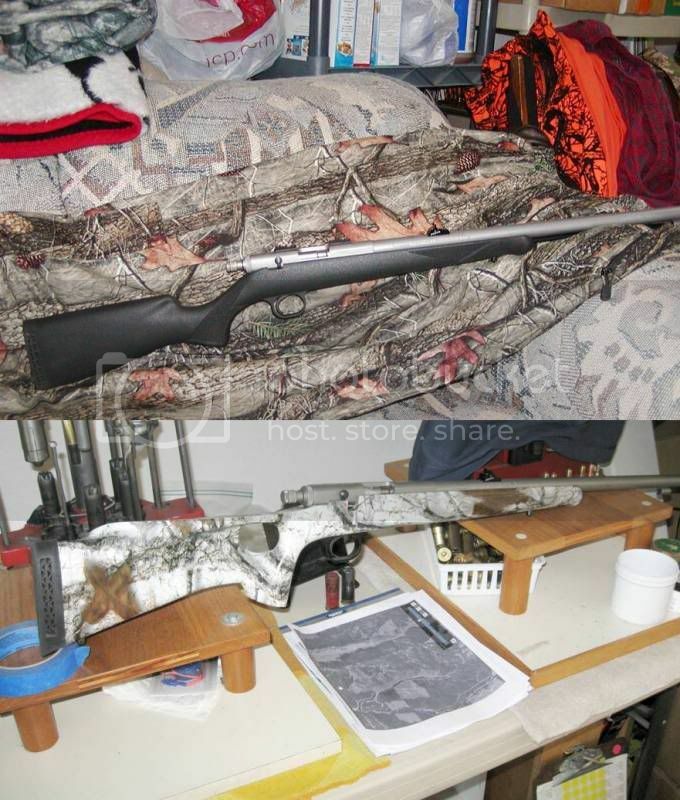 Are you using the same scope that was on the rifle when the stock broke ? If it is I'd try another scope. A 20 ga. brush works pretty good for removing plastic from the barrel.